Featuring R.W.Bro. 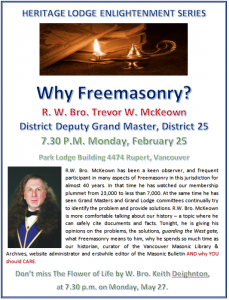 Trevor McKeown in a thought provoking presentation entitled “Why Freemasonry” – mark it on your calendar and be prepared to participate! 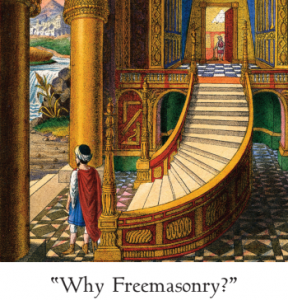 Apart from being our GL Clerk of the Office, formerly Grand Historian and currently DDGM of District 25, Trevor is a full member of UGLE’s premier research Lodge Quatuor Coronati and his given presentations in several countries.